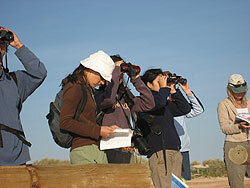 CCG consists of a proactive and motivated membership that engages in a broad range of conservation-based projects. Members come from a diverse spectrum and no experience is necessary – everyone has something to offer! A range of different types of memberships are available to cater for individuals’ interests and their desired level of involvement. 3. Capacity and outreach of the NTP to other community groups and organizations. No Plastic, Fantastic! 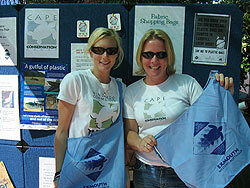 aims to reduce the use of plastic bags in the Exmouth region through working with Exmouth retailers, local and state government and the general public. The project includes public education through Mall stalls, the production and distribution of CCG calico bags, and the development and distribution of informative brochures. This project contributes to the conservation and management of black-footed rock-wallabies – elusive and agile marsupials that are listed as vulnerable to extinction. 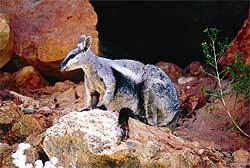 The gorges of Cape Range are one of six remaining locations in WA where the black-footed rock-wallaby finds refuge. Since 2005, CCG members have been recording the historical and current distribution and abundance of rock-wallabies, the threats that they face and the impact of conservation strategies by undertaking regular monitoring and surveys. At an international level migratory shorebirds face serious decline and possible species’ extinction due to habitat loss and a suite of other human-induced threats. CCG members monitor shorebirds twice each year as part of a national count, as well as opportunistically, to determine shorebird diversity, abundance and distribution in coastal regions of the North West Cape. Data collected is provided to Shorebirds 2020 – a national organization that is trying to document shorebird decline and manage their conservation. 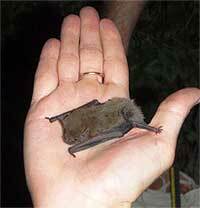 Little is known about the small, insectivorous species of microbats that inhabit the Cape Range. A CCG pilot study in 2005 potentially discovered two species of microbats that had not previously been recorded in the region. This prompted an additional study in 2008, in which a bat consultant assisted CCG members and DPaW volunteers to trap, identify and record the calls of bats on the NW Cape. The project aims to ascertain the identity and distribution of microbats on the NW Cape, as well as identify threatening processes. There is considerable scope for additional, ongoing work to find out more about these creatures. The Department of Planning and Infrastructure (DPI) is proposing to expand the existing Exmouth marina to facilitate berthing of larger vessels including those servicing the offshore oil and gas industry, super yachts, fishing charters and cruise ships. CCG has many concerns regarding the environmental impact of the facility and the associated increase in vessel activity in Exmouth Gulf. A major concern is the impact of increased maritime traffic on Humpback Whales – listed as a “vulnerable migratory cetacean” under the EPBC Act and protected worldwide. 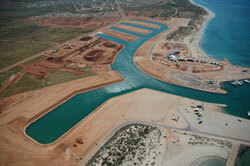 Exmouth Gulf is a critical resting area for mother/calf pods on their southern migration. CCG is lobbying both State and Federal governments to ensure any development in Exmouth Gulf minimizes environmental impact, particularly with respect to Humpback Whales. The CCG recycling group is focusing on improving the current waste management practices and minimising the amount of waste generated within the Exmouth community, from both local residents and visitors to the area. The group has developed waste management guidelines that we would like to see implemented in the near future, particularly focusing on recycling opportunities for Exmouth to minimise landfill in the area. We are also in consultation with the Exmouth Shire and the Gasgoyne Development Commission, who are currently carrying out a Sustainable Waste Management Feasibility Study for the Upper Gascoyne region. The unique and sensitive natural environment of the NW Cape faces mounting pressure from rapid industrial development and tourism. If you would like to help protect and preserve the pristine marine and terrestrial environments of the NW Cape by joining a dynamic and fun group of people, contact Cape Conservation Group. New members are very welcome!